Real Estate Professionals - Fernando Socol P.A. Has an extensive background as a Investment Broker, Business Owner, Real Estate/Business Brokerage and is a Certified Arbitrator for FINRA. 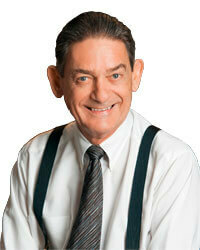 He has a BA in economics and for more than 40 years has worked with clients guiding their investment decisions. He has built and operated several businesses in both retail and entertainment. Hundreds of companies have used his services. His commitment is to empower our clients to find the appropriate investments, to satisfy their Visa requirements, in Real Estate or a Small Business. Working with your individual requirements, he will locate the properties or business that will best meet your needs.